Apple India Pvt. Ltd, the local arm of Cupertino-based Apple Inc., is set to start initial manufacturing operations in Bangalore, with the Karnataka government issuing a press release "welcoming the move." 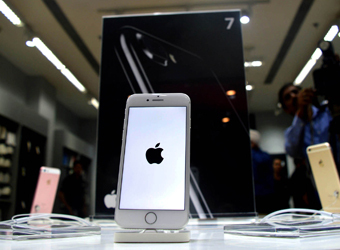 Apple is likely to assemble iPhones at a plant being set up by its Taiwanese manufacturing partner Wistron Corp in the Peenya industrial area near Bengaluru, several media reports said, citing a person who asked not to be named. Techcircle, however, could not ascertain this independently. "Apple's representatives, led by Priya Balasubramaniam (vice president iPhone operations), Ali Khanafer (head, government affairs), Dheeraj Chugh (director, iPhone operations) and Priyesh Povanna (country counsel), met ministers and state government officials, and had positive discussions about the manufacturing initiatives and possible collaborations with the state government," a statement from the Karnataka government said. "Apple's decision on initial manufacturing in Bengaluru has...validated the state government policies aimed at fostering manufacturing, innovation and investments in Karnataka," the statement further added. In December, Apple had shared a list of demands with the Indian government seeking tax concessions, including lower import and manufacturing duties, and certain policy exemptions as prerequisites for setting up manufacturing operations in the country. Last month, Reuters reported that the central government was resisting Apple Inc's demand for tax incentives, with the trade minister saying that the government may not make exceptions. Apple wants to open its own stores in India, but it has been asked by the government to locally source at least some of the components, as Prime Minister Narendra Modi looks to boost manufacturing in the country. In May last year, the company's chief executive Tim Cook had met Modi to discuss Apple's manufacturing plans for India.